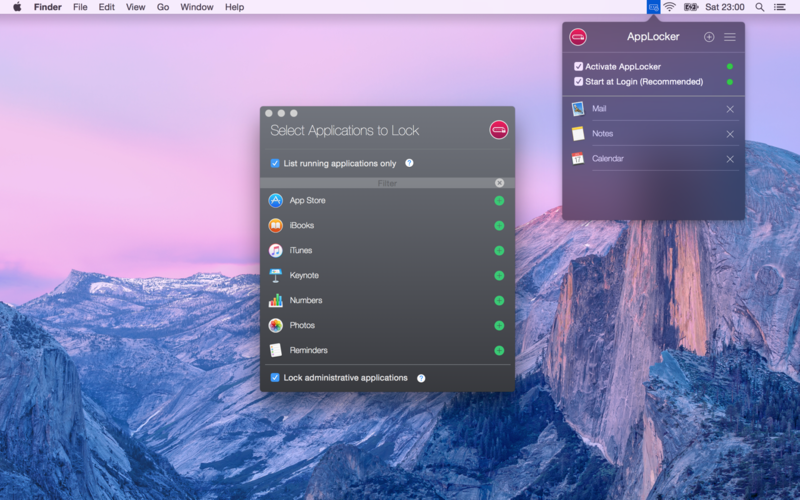 AppLocker can password protect individual apps on your Mac. It’s easy to use, and there is absolutely no configuration required. Just start AppLocker, add a password, and select the apps you want to keep private.